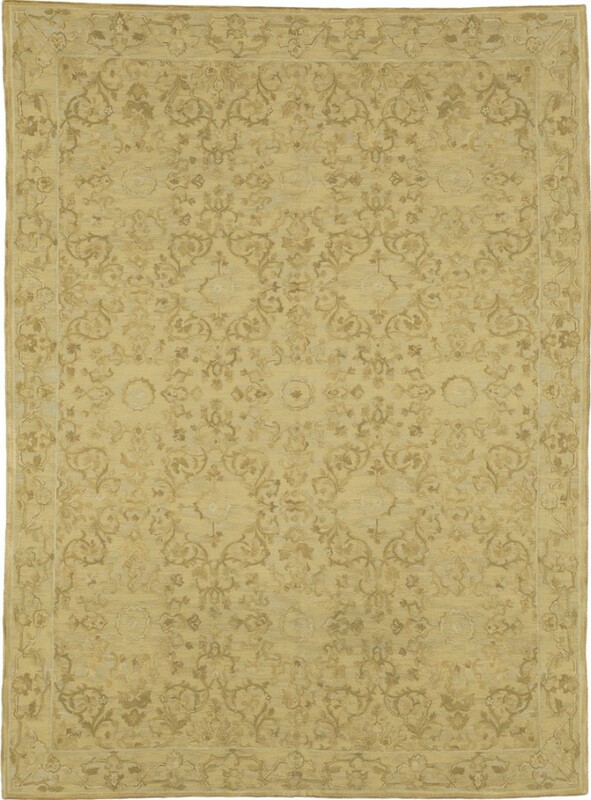 This handwoven rug is inspired by elements of Mughal architecture and Amritsar carpets of 17th and 18th Century northern India. Repeating starbursts are artfully strewn across a field of gentle saffron, coral, pearl and green hues. 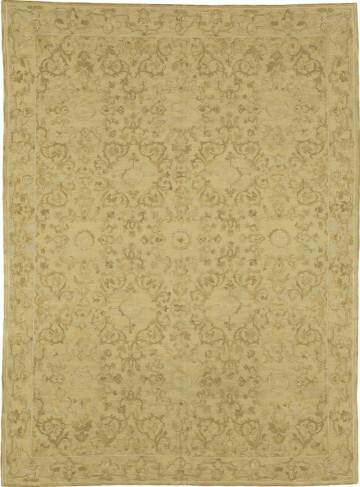 This rug clearly has the power to unify a room’s decor. Rug weavers combined ancient Savonnerie dyeing and weaving methods with a loop weave to create the subtle shade and texture variations for this durable cut & loop pile rug.